A five-piece version of Japan's top-ranked psych-freakout ensemble came, saw, and conquered Switzerland's capital city in just over two hours on this particular Friday night. The "Dachstock" (meaning "top floor") at the Reitschule ("Riding School") was a true attic-like room of large proportions, virtually triangular-shaped in cross-section and constructed entirely of wood beams and floorboards. Hence, there's quite a bit of room over center-stage for a light show as long as you limit your horizontal scale just a bit. For this show, a square white projection screen was hung from the ceiling just above the drumset, and throughout the performance distorted images of various things placed in front of a small camera (operated from the mixing desk) were projected there. Effectively I might add. At other times, shots of the drummer himself (just a few seconds delayed from being 'live') were visible there, though I could never figure out where this second (obviously tiny) camera was mounted. Other than this and a few colored lights that weren't too sophisticated, the group themselves were pretty much most of the show visually as well as aurally. And what a show it was!! I had only a little trouble finding the venue... having been to Bern on several other occasions (work-related), I had already seen this colourful building (and I mean that in the most literal of senses - it's completely covered with graffiti-artwork!) from the train and used it as a landmark for general orientation in this city of windy (long 'i' there) streets and even windier rivers. I arrived to discover (again) that the lone start time listed (21:00) on the Dachstock website was just a 'door-opening' time (the very next show I attended listed just 21:00 again and that one did start exactly at 9 PM, so there's absolutely no set convention for starting times here...aggravating.) But I didn't much care, 'cause on a Friday (or Saturday) night, the city runs 'Nightbird' busses out to the surrounding suburbs (and yet aways beyond) and I could get to my friend's home 30 km to the north by catching this 2 AM bus no matter the lateness of the gig. As it turned out, the performance didn't begin until just after 11 PM with the 'warm-up' time being occupied only with a DJ guy playing appropriate music over the PA. (I heard godspeed you black emperor!, Velvet Underground, and plenty of other good tunes, so along with some wet refreshments it was not a tiring wait.) Also, during this time, two of the bandmembers were manning their table of goods to offer including several AMT CDs and other works by various spinoffs and such, plus a ltd. ed. T-shirt. I got one of these and the very last copy they had of the newest CD (reviewed below). Well, ok, the rest of the CD is reviewed below... I'll talk about the final (credited) track "Soleil de cristal et lune d'argent" now because they opened the show with this psychedelic extravaganza. Guitarist Extraordinaire Kawabata Makoto began the track by strumming on a bouzouki while the patriarchial-looking Higashi Hiroshi spun knobs and flipped switches on his synth. Cotton Casino, perhaps 30 years his junior, followed suit on her board full of knobs and trigger devices while she lit the first of the 237 cigarettes she smoked on this night. Eventually she opened up at least half of her mouth to sing the silky smooth and chantlike (English) vocals as Makoto switched over to his tremolo-fitted Stratocaster. Then as the ensuing jam commenced, both he and bassist Tsuyama Atsushi let loose, by assaulting both fretboards with more notes than any single instrument should ever be forced to expel in its entire lifetime. So, during this madness it was up to drummer Uki Eiji and Hiroshi (doubling on rhythm guitar when necessary) to keep things together, especially as Atsushi plays a never-ending succession of licks and runs that extend from the very bottom to the very top of the range of his bass. And despite all this manic behavior, the resulting miasma of sound still maintains a proper linear pulse to it... repetitive-sounding to some ears I'm sure (these people weren't in the audience mind you!) but nobody could argue that there wasn't something always going on in the wonderfully murky and overloud clamour. With each track tending to clock in at about 15 minutes or so, the setlist contained hardly any more names than a Florida presidential election ballot, but I'm afraid I can't tell you the titles of any of the other tracks. One track I liked featured an extended section with Makoto pulling out a long, narrow metal rod for the obligatory 'glissando' guitar passage - accordingly, the whole piece then had a very (70s) Steve Hillage flavor to it... wish I could tell you what disc this one is from. Also, several times throughout the show, the Mothers would take a break from the sonic overkill bit to let Atsushi demonstrate his amazing vocal prowess in the form of this peculiar 'throat-singing' methodology they have developed in east Asia (somewhere, I dunno exactly). It's something like trying to gargle after you've swallowed a didgeridoo... well, that's what it sounds like to me. In the midst of these peculiar resonating gargle-noises, Atsushi manages to also change pitch and create 'words' and such (Japanese words, I imagine). Or total silliness at times too. Eventually, the others join in with their own voices (not quite so goofy-sounding in most cases) and they can do 'rounds' based on traditional-sounding anthems. Their finale began in just this manner, with what I'm guessing is a well-known folk song in Japan. I remembered this tune from the show in Columbus, OH a year-and-a-half ago and it was another highlight of the night. From such a traditional beginning, it certainly took on a different tone by the end, which saw Makoto playing his guitar in all manner of styles including a bit of physical abuse. Like it being held straight up in the air and then swung around a la a Pete Townshend-windmill, only with windmilling the actual guitar and not just the right arm! He also found a way to play the instrument with just one hand holding onto the tremolo arm and shaking the thing vigorously like the notes could just fall out like crumbs from a toaster. The animation of each of the five on stage was extraordinary and at times it looked almost like some sort of bizarre exercise training video. This ain't no 'shoegazing' band! They'd already injected nearly 2 hours of music into our heads, so AMT's encore was short and sweet. Just two minutes of peculiar vocalizings and extraneous noises followed by roughly 30 seconds of total sonic overload on any and all instruments at their disposal (several of them coming crashing down in all directions). 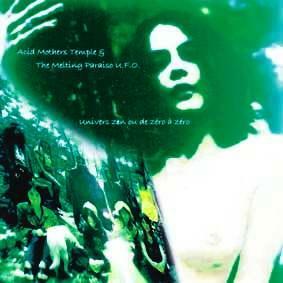 (Note: This 'song' appears on the 'Univers zen...' disc as an untitled bonus track, though the Fractal website suggests the title is "God Bless AMT." Exactly.) With then simple gravity leading to the instruments' final resting places, the five suddenly vanished from the stage leaving all of us wondering where on earth these sonic assassins had escaped to! But no amount of further enticement from the crowd could induce more audio-insanity from the group (somebody probably pulled a muscle or two along the way), but we all went home extremely happy and well-entertained. The live AMT experience is pure joy to witness. 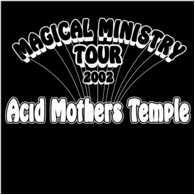 So, I'm not sure what the real Acid Mothers Temple discography looks like, and I don't understand whether the second half of the name represents a different version of an original. My biographical knowledge of the band starts just two years ago. Anyway, I think there's four or five discs now featuring this basic unit and apart from this one on Fractal there's another recent recording out on Jussi Lehtisalo's (of Circle) label Ektro Records in Finland (they have been touring together in various parts of northern Europe in recent years). So I won't attempt to speculate on the context of this release relative to the others, I'll just review it as it stands. With the exception of Koizumi Hajime taking Eiji's place on drums, the five members listed above all appear, as well as guest performances here from Magic Aum Gigi (Guimbarde, Chaud Lapin - I'll let you try to make sense of these words! ), Hiroshi Narazaki (guitar solo on the opening track), and one Father Moo (credited with "Mooooooooooooooooo" - number of o's approximate; ok, whatever!). 'Univers zen...' kicks off with a 10-minute psychedelic freakout entitled "Electric Love Machine" - nice stuff but a bit of a noisy recording which may or may not be intentional, I dunno. Dueling acoustic guitar & bouzouki along with Casino's delicate soprano voice paint a pretty picture next on "Ange mécanique de Saturne," colored nicely with some additional spacey noises and incidentals. Four minutes in, though, an underlying drone track is spliced in, and it becomes a 'cosmic raga' of sorts. Very clear sound on this one. But "Blues pour bible noire" is again thick with static overload in the ole headset (no information about recording circumstances is given so I can't say whether some of this material was recorded in primitive conditions and then released as an 'after-thought' or what?). This album-side-long tune is deliberate in pace and rides an excellent guitar soliloquy from start to finish, both soaring and searing in nature. After a full ten minutes though, a few vocal lines from Casino do appear - however, the guitar feedback and bass-guitar noodling bits are still the more prominent parts. I already talked above about the blanga-fest that is the extensive jam on "Soleil de cristal et lune d'argent," so I'll just mention that this recording (while thick and murky by nature - and appropriately so!) has no sonic defects and by itself makes the whole CD (a whopping 70 minutes plus in only six tracks!) worthwhile. 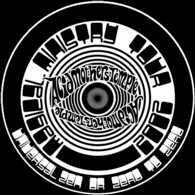 Acid Mothers Temple is always much better experienced in a live setting and so just owning the CDs doesn't really offer one the full potential of their music. This band, more than any other perhaps, represents how compelling is the draw of music in a live setting and why I am never satisfied with just hearing it captured on a static slab of your-polymer-of-choice. If they come anywhere near your chosen place of residence, please make the effort to attend one of their shows - you won't be disappointed I promise you!